A New Jersey man stands accused of shooting and stabbing his brother, sister-in-law and their 2 young children, then setting fire to their home and his own. FREEHOLD, N.J. – A New Jersey businessman was financially sound and had no reason to kill his brother’s family, defense lawyers said Friday, but friends suggested the bond between the longtime business partners could have frayed as one thrived and the other struggled years after a serious car accident. Paul Caneiro, 51, limped into court Friday to plead not guilty to killing Keith Caneiro, 50; Keith’s wife, Jennifer; and their two young children two days before they were to host Thanksgiving at their sleek $1.5 million mansion in tony Colts Neck. He also pleaded not guilty to arson charges stemming from the fires set at both their homes. 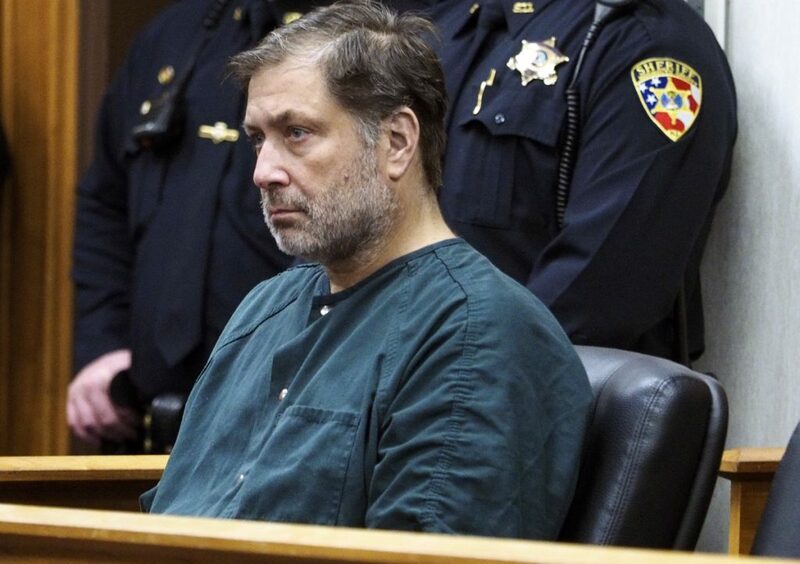 Prosecutors have called the motive for the slayings “financial.” However, defense lawyers said they have seen no evidence Paul Caneiro was financially strapped. He owns a $550,000 suburban home with an in-ground pool and a white Porsche convertible parked in the driveway, and helped run two family businesses. His client said little in court except to answer “yes,” “no” or “I do” to a series of procedural questions. A friend said that the accident about five years ago left Paul Caneiro “immobilized” for a time, and that he’d had repeated surgeries, and taken painkillers, for injuries to his back, legs and knees. Paul Caniero moved out of his family’s Ocean Township home for about six months this year but had recently moved back in, said Potamianos, 44, who has been friends with the extended Caneiro family for years. He called them smart, close-knit and unassuming. The killings have startled the affluent horse-country community of Colts Neck, home to Bruce Springsteen and where former “Daily Show” host Jon Stewart and his wife run an animal sanctuary. Authorities say Paul Caneiro shot his brother, shot and stabbed his sister-in-law, and stabbed their children before dawn Nov. 20, then set the mansion on fire and returned home to set fire to his own home as his wife and adult daughters slept upstairs. After his arrest in that fire the next day, his lawyers said his family believed he had rescued them. They were not in court Friday, lawyer Robert Honecker said, because Caneiro waived a detention hearing and they didn’t need to testify for him. Caneiro sat stone-faced as Assistant Prosecutor Christopher Decker read the charges. Superior Court Judge James McGann ordered him to remain at the Monmouth County jail at least until a hearing in late January. The brothers had started a computer business in Brooklyn as young men and had 26 employees and clients including Citibank by 2001, when they renamed it Square One and moved to the quieter New Jersey suburbs. They married and started families – with each brother standing up for the other at their weddings – and started a pest control company along the way. Paul Caneiro was lately a frequent presence at their small offices in downtown Asbury Park, which by this year had just a few employees, while Keith Caneiro more often worked from home. In recent years, Keith Caneiro had earned undergraduate and graduate degrees through Columbia University; started working out with a trainer and lost weight; and spent time with his family on Greece’s Aegina island, where his wife’s father grew up and they hoped to retire. Jennifer Caneiro also worked out there, as did Paul’s wife and daughters. But Paul was hampered by mobility issues. He hadn’t been able to travel to Greece for the family excursions but hoped to be well enough to go soon, according to Potamianos, who’s also from Aegina. Prosecutors haven’t elaborated on the alleged financial motives behind the crimes. They said Paul Caneiro set the fire at his own home to destroy evidence and to make it appear someone was targeting his extended family. He was at the police station being interviewed about that fire when the smoldering fire erupted at his brother’s house just after noon, hours after investigators think it was set, and the bodies were discovered.